This photo was taken during the culmination of the Seslong Festival 2019. I already envisioned to have this composition early on, so positioned myself in front of the monument. 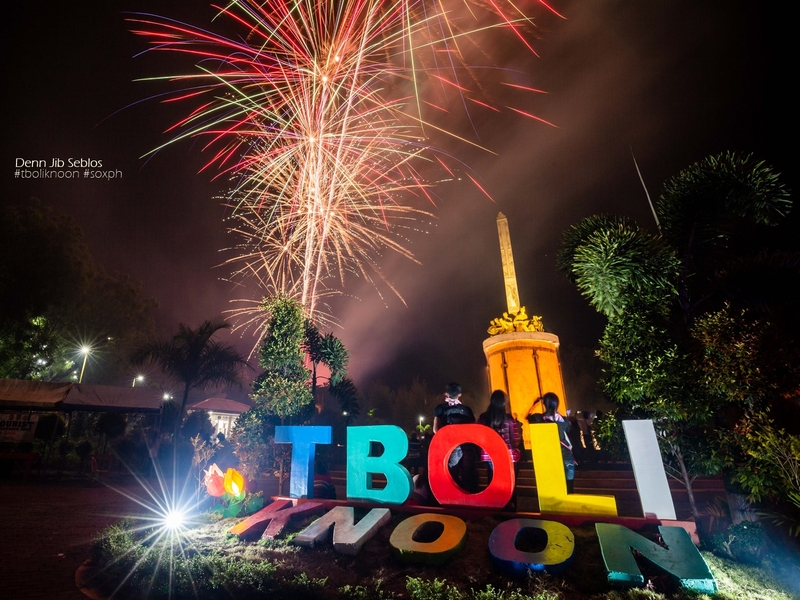 The foreground clearly shows TBOLI KNOON, simply put, it means beautiful T'Boli. It serves as a greeting to visitors and tourists, and also a reminder to the locals. The fireworks were just added bonus to the already spectacular scene. Everyone in the vicinity thoroughly enjoyed the spectacle.